Craving sugar and gaining weight? Some may diagnose this cluster of symptoms as Adrenal Fatigue… but is it actually a real condition? This is a sales-free look at the facts. 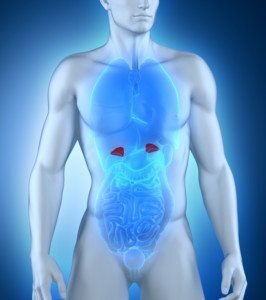 What is Adrenal Fatigue and the Function of Adrenal Glands? Could Adrenal Fatigue Be Subclinical Adrenal Insufficiency? Adrenal fatigue refers to a cluster of common symptoms one might experience when under long-term mental or emotional stress. It’s also known as Adrenal Fatigue Syndrome, HPA Axis Disregulation or Hypoadrenalism. The concept was introduced in 1998 by chiropractor and naturopath James Wilson. Since then it has become very popular among alternative health practitioners. The adrenal glands – small organs above the kidneys that produce certain hormones – help to manage stress. But they are said to grow tired or fatigued when overworked for a long period of time. As a result they produce inadequate amounts of hormones that influence stress, such as cortisol. At least, that’s the theory. So there is clearly a divide in opinion between alternative and conventional medicine. Summary: Adrenal fatigue is a condition said to be caused by long-term stress. However, it is not recognised in the medical community. It’s important not to get these confused. Adrenal insufficiency is a serious disorder, characterised by adrenal glands that produce insufficient hormones. 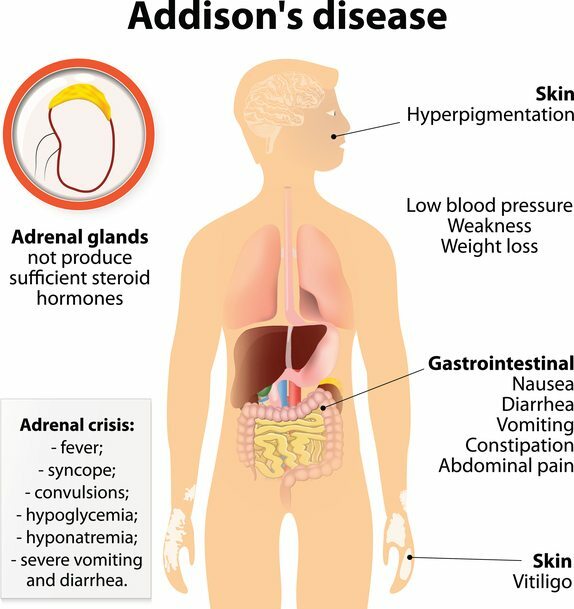 Addison’s disease is the name of autoimmune adrenal insufficiency. It’s quite rare, affecting 11 out of every 100,000 people. But rates are on the rise, particularly in women (1, 2). Much like Hashimoto’s disease it cannot be treated with diet and lifestyle alone. Without proper hormone replacement medication, adrenal insufficiency is life-threatening. Adrenal fatigue, if it exists, is not immediately dangerous. Summary: Adrenal fatigue should not be mixed up with adrenal insufficiency, which is a rare yet serious condition treated with strong hormone medication. It’s human nature to try and make sense of patterns and clusters. Clusters of symptoms are no exception, and we often give them a non-scientific name, like Leaky Gut Syndrome or Pyroluria. Immediately it’s clear how broad and unspecific symptoms are. No doubt they are real, but they easily overlap with other known medical issues. The real issue is that the symptoms are not objective, nor measurable. That is, there is no validated symptom score to assess how mild or severe a case may be. Summary: Symptoms of adrenal fatigue are real, but so broad that they overlap with other medical issues. Proponents claim existing blood tests are not sensitive enough to detect small declines in adrenal function. So the only criteria for diagnosing adrenal fatigue are the non-specific symptoms. Therefore it’s not actually possible for health practitioners to determine what classifies as adrenal fatigue and what doesn’t, assuming it is a real condition. Some practitioners claim it can be measured and diagnosed using salivary cortisol. This is a way to measure the HPAA adaptation to stress, and is useful for helping to diagnose adrenal insufficiency. But researchers note salivary cortisol is not necessarily representative of blood cortisol. 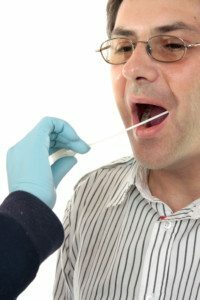 Numerous other factors including adrenal sensitivity, cortisol binding, estrogens, and HPAA responsitivity influence the saliva reading. This makes it an unreliable stress biomarker on its own (3). Additionally, treatment endpoints are as non-specific as the diagnosis. In other words, without measurements there is no way to confirm when a patient’s adrenals are corrected or “cured”. It’s the reason why studies must use adrenal fatigue questionnaires to measure results instead of testing physical or chemical changes (4). If this were the case for other common medical conditions, like type 2 diabetes or high blood pressure, the doctor would never know when to increase, decrease or stop medication. Summary: There is no way to accurately test or measure adrenal fatigue. Therefore practitioners cannot actually prove who has it, nor when it has been corrected. Few medical conditions are broad and unmeasurable. Fibromyalgia is one of them, perhaps adrenal fatigue is another. Despite this, supplements for adrenal fatigue and associated natural remedies are more common than ever. Even the creator of adrenal fatigue, James Wilson, sells his own line of supplements online. Keep in mind that given the non-specific nature of adrenal fatigue, there is no way to develop a supplement to specifically treat it. Nor a way to test if that supplement is effective. Nutrition supplements should be used to supplement deficiencies linked with a particular condition. However, only a handful of studies even mention adrenal fatigue let alone have tested for associated nutrient deficiencies. There are also many hormone supplements available that promise to treat this condition. But these can do more harm than good if they aren’t required. Adrenal Crisis is not uncommon in patients receiving inappropriate adrenal hormone treatment. Summary: Adrenal fatigue supplements are sold by many alternative health practitioners, including the creator of adrenal fatigue. However, it’s not possible to develop or test a supplement’s effectiveness without a way to measure the problem condition first. Many claim that adrenal fatigue “treatment” restored their health. They lost weight, have more energy and feel fantastic. Of course this is great to hear, but actually not surprising. The typical adrenal fatigue treatment protocol includes eating more fruits and vegetables, cutting out sugar-laden and starchy junk food, exercising more, improving sleep quality and taking measures to reduce stress. These recommendations address the fundamental aspects of good health, also known as the pillars of health. 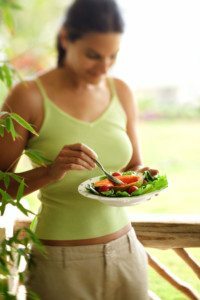 Anyone who improves one or more of these diet and lifestyle aspects will feel better to some degree. But whether adrenal gland function actually shifts as a result of these changes is debatable, and not possible to prove from observation. Summary: An adrenal fatigue diet and treatment protocol may help improve an individual’s health. But this is because it encourages important diet and lifestyle improvements, rather than a boost to adrenal gland function. Some proponents claim adrenal fatigue is a mild or early form of adrenal insufficiency, and should be formally recognised as such. Much in the same way as subclinical hypothyroidism is to hypothyroidism. But in cases of subclinical hypothyroidism, doctors are able to measure a patient’s blood TSH levels. This provides an objective measurement used to determine diagnosis and treatment efficacy. As this isn’t possible with adrenal fatigue it’s difficult to confirm this theory, though it is interesting. It’s frustrating if you constantly feel unwell to have a doctor that seems unable or unwilling to discover the true problem. I understand that, because the symptoms are very real. It’s the reason adrenal fatigue has become such a popular alternative approach to this type of scenario. However, there is no scientific evidence to validate the concept. Without any reliable method of measuring adrenal fatigue it’s near impossible to make the “diagnosis”. That said, believing one has adrenal fatigue can sometimes be beneficial. It provides a “physical” reason for individuals to take action and improve their diet and reduce stressors. This is why so many experience improvements. But if the real problem is more sinister than poor diet and high stress, accepting adrenal fatigue as the root cause can be dangerous. It only prolongs the time required to discover what’s really causing symptoms. Add to that the unproven adrenal fatigue supplements pushed on desperate customers and you start to question how helpful or ethical this diagnosis is. In the end it’s clear that taking measures to improve your diet and better manage the stressors in your life is key to getting your health back… Whether adrenal fatigue exists or not. 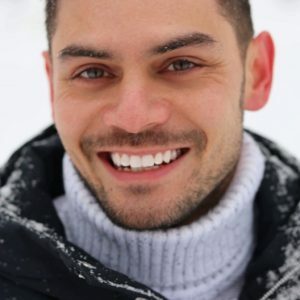 Hi Joe, I was looking what causes fat face retention in modern bodybuilders at lower body fat percentages(eg: Jay Cutler, Evan Centopani etc.? I am not familiar with human physiology totally right now. Do you mind to give some of your random thoughts? It would be helpful. Is this some hormone related stuff? Did you people not read? Adrenal Fatigue is not real. It does not exist. Adrenal Insufficiency IS real, measurable and diagnosable, and it can lead to adrenal crisis which is life threatening. 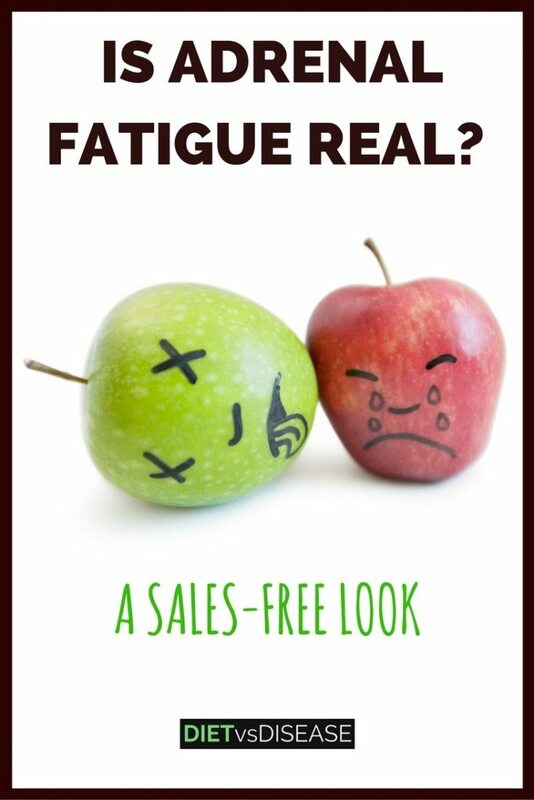 Adrenal Fatigue is a myth to sell diets and supplements. 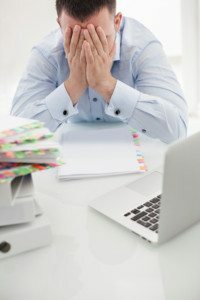 It is an interesting read,this subjects of adrenal fatigue need more research and studies especially in area of diagnostic methods used in traditional medicine.More sensitive tests to pick up adrenal hormones levels or specific and sensitive markers.Denying any valid health issue is not a solution. If some medical term doesn’t exist today in med books n not being taught,it doesn’t mean that it doesn’t exist.I am a physician and I do believe traditional medicine doesn’t cure all diseases,we only manage and control diseases in many cases.Collaboration of all disciplines of healthcare are needed for betterment of people’s health ,not a kind of competition between different medical practices. Endocrinologists aren’t denying that patients have unexplained fatigue, nor are they denying that it is possible for long-term stress to affect adrenal function, or for HPA axis function to cause fatigue without meeting diagnostic thresholds of diseases like Addisons or Cushings. They are denying that there is sufficient evidence to claim that adrenal function is what’s wrong with these patients, much less treat them for it (see the meta-analysis cited in the article). There’s definitely no evidence to support treating “adrenal fatigue” with supplements like many websites will claim. You want to make sure that a condition is real and that a treatment works, before you start giving it to patients right? Remember, chronic stress and sleep-deprivation can cause these symptoms and are very common in today’s world. Hormonal reactions to these things are normal, and not necessarily reflective of pathology. The lifestyle recommendations given would likely be useful for anybody suffering from the given symptoms.